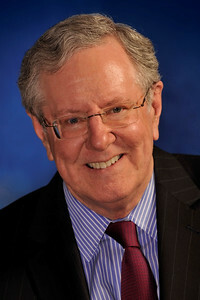 Manassas, VA– Steve Forbes, Chairman and Editor-in-Chief of Forbes Media and a frequent panelist on Forbes on Fox, is scheduled to speak at the by-invitation-only Media Leadership Dinner on Tuesday, February 24, 2015, during the NRB 2015 International Christian Media Convention in Nashville, TN. Forbes entered the new media arena in 1996 with the launch of Forbes.com. According to comScore, Forbes.com reached 27 million unique visitors worldwide through March 2014. Other Forbes websites include RealClearPolitics.com, RealClearMarkets.com, RealClearSports.com, and RealClearWorld.com. The company’s flagship publication, Forbes, is the nation’s leading business magazine, with a circulation of more than 900,000. Forbes – combined with Forbes Asia, Forbes Europe, and the company's licensee editions – reaches a worldwide audience of more than 5 million readers.